There’s no catchy title to sum up this week. I thought long and hard how to describe it, but the past few days are indescribable. The world has been affected by the terrorist attack at Manchester Arena on Monday – a place so close to our home, where we have been to dozens of concerts. I’ve considered not posting a #LittleLoves for this week but wanted still to document that through difficult awful times, good and normality still carries on. I remember going into a shop when my Dad has just passed away and being amazed that people couldn’t tell from just looking at me that something momentous had just happened. I feel a little bit like that this week too. I’m loving my reading at the moment but as every reader knows, when you are racing through books, nothing else gets done. I should be packing Millie’s case ahead of her week at training camp next week but the lure of Sharon Bolton is too strong! This is the second in the Lacey Flint series and so far just as good as the first. 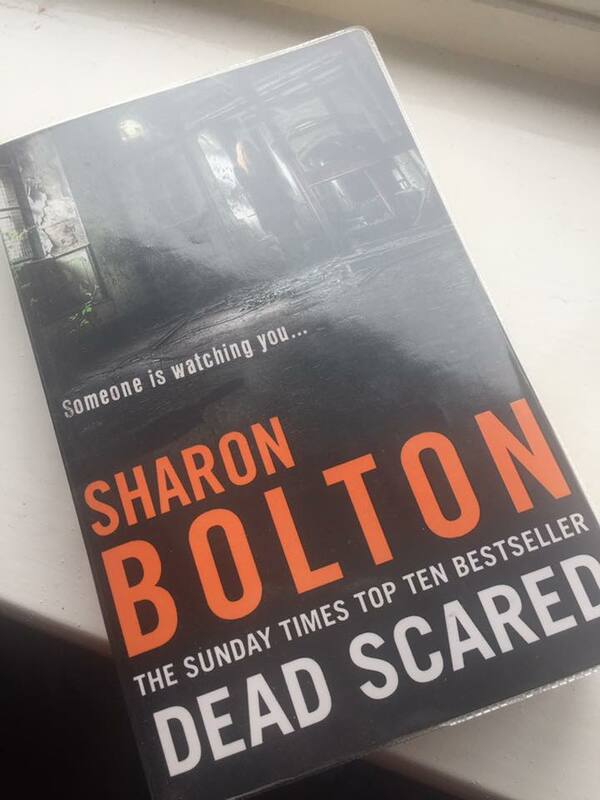 I can’t believe it took me so long to get into Sharon Bolton. My piles of books are growing out of control. I felt so proud of myself taking 2 read books back to the library yesterday – only to get another 5 books out! I think my next book to read will be A Life Discarded by Alexander Masters. 148 old notebooks were discovered on a rubbish skip and Alexander Masters sets out to discover the identity and history of the author. I’ve also read a great letter from Violet & Tara’s headteacher today granting authorisation for the girls to miss school when they travel to Croatia with us to watch Millie compete representing England. Definitely more about that trip to come on the blog soon. 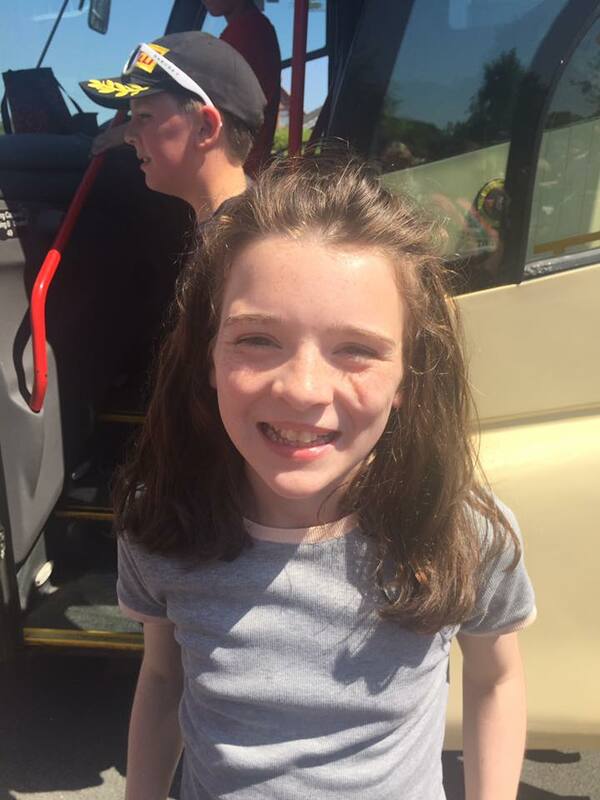 We really weren’t expecting to have permission even though Vi has finished her SATS so we are hugely pleased and relieved. How happy is that face? Today we watched Violet’s coach leave as they headed off to PGL for the weekend. Its her second visit to PGL but no easier not being able to speak to her at all. I suspect she was starting with a bit of a cold so I really can’t settle. I fear I have turned into a stereotypical over-protective Mum! Hopefully she will have an awesome weekend with maybe even a couple of hours sleep. I suspect I have been similar to most of the country in that I have mainly been watching news broadcasts all week. Tuesday was definitely a day to try to absorb the horror that was unfolding in Manchester – I just could not concentrate on anything else. I have managed to catch the start of the new Netflix programme, Anne with an E. I’m a huge Anne fan – rereading the Anne of Green Gables is on my to do list for later in the year. So far, I’ve enjoyed the new series – slightly darker than my traditional Anne. I’m trying not to compare with the Megan Follows version but its difficult. There’s not been much productivity around here. I did get into the kitchen today and think I may eventually be getting out of my cooking slump. In the past fortnight, I finally got round to making our first ever, Day in the Life video. We had great fun filming as we went along our day. I was so pleased that all the kids and Derm got completely behind it. Really looking forward to filming our next one very soon. Have a quick watch if you can – its not perfect but we will learn as we go along. Erm, as little as possible? Its been crazy hot around here – I’ve even got my legs out. I’ve discovered a new radio station on the way home from synchro on Tuesday. Cheesy.fm – Yes it really is as bad as it sounds but is perfect escapism. Mainly covers North Wales & Cheshire so reception is hit and miss here in Merseyside but so many good tunes to belt out as I’m driving along. There will be no separate #FridayFirst post this week – Just feels a little too insensitive to be publishing too many week posts. Me & Millie did head to the pub last night for the first time – We were meeting Millie’s friend who was celebrating her 15th birthday along with her Mum (My friend). Was so lovely to sit in the beer garden with my big girl and listen to her catching up with her friend. My baby is getting so grown up! I’ll be back next week with more #LittleLoves – Half term normally brings a different type of post. Next week we will welcome Violet back from PGL, prepare for Croatia, celebrate a birthday and hopefully welcome our 11th niece or nephew! To find out what the other #LittleLoves crew have been up to this week, head over to Coffee, Work, Sleep, Repeat. Love the day in the life video. I always like seeing what people get up to every day. Oh I used to love taking part in this linky, think I’ll have to start this up again. The weather has been lovely this past week. Wearing clothes has been horrible because everything sticks to you.